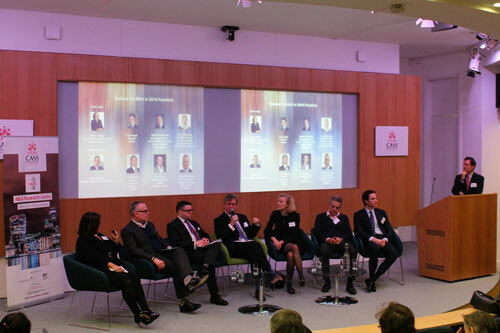 The M&A Research Centre at Cass Business School was pleased to host its ninth annual Outlook for M&A in 2019 panel discussion on Wednesday 30th January. Professor Scott Moeller, Director of the Mergers and Acquisitions (M&A) Research Centre, delivered a welcome address to students, alumni and industry practioners ahead of the panel discussion which was chaired by Susan Kilsby, Chair of the M&A Research Centre Advisory Board. Ms Kilsby was joined by panellists from of some of the Centre’s sponsors including: Cyril Auger, Director, Ardian; William Mansfield, Managing Director, Head of EMEA Financial Sponsors M&A, Credit Suisse; Jana Mercereau, Head of Human Capital M&A, Willis Towers Watson; David Petrie, Head of Corporate Finance, Institute of Chartered Accountants in England and Wales (ICAEW); John West, Managing Editor, EMEA, Mergermarket; and Philip Whitchelo, Vice President, Strategic Business Development, Intralinks. The panel discussed the drivers that would impact the market during 2019, which included the impact of Brexit on transactions and on particular sectors; the rise of activism and its impact on the corporate world; and the impact of technology on M&A. Although there was some disagreement on the panel of the direction of the market in 2019, most said the rise of the M&A and private equity markets since the last downturn was at a mature stage and more likely to pause or decline than increase for much longer. Professor Moeller said he was delighted to welcome such a distinguished panel to Cass again, thanking them for sharing their insights with the audience. 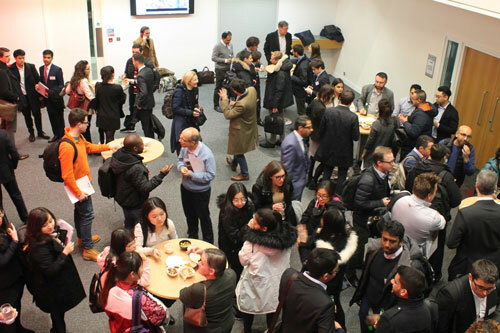 The audience included students from across undergraduate and postgraduate programmes at Cass. With this in mind, Professor Moeller asked the panel to suggest their advice for students who want to get ahead in the world of M&A where advisers need to be global, strategic and entrepreneurial to win deals and succeed. Find out more about the M&A Research Centre here.